This trek is not for the beginner hiker, but better for someone looking for a moderate to strenuous hike. The hike involves about 27 miles (44 km.) of walking, including many ascents and descents and very little flat areas. Although it isn't necessary to have special equipment for this trek, you do need a guide for help in navigating the trail, which crosses rivers. 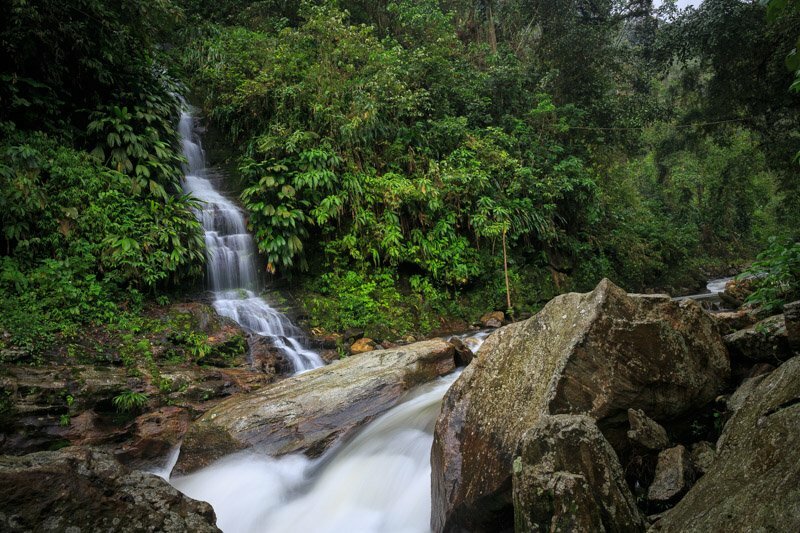 The Lost City trek is a great experience for anyone interested in the ancient history of the region. 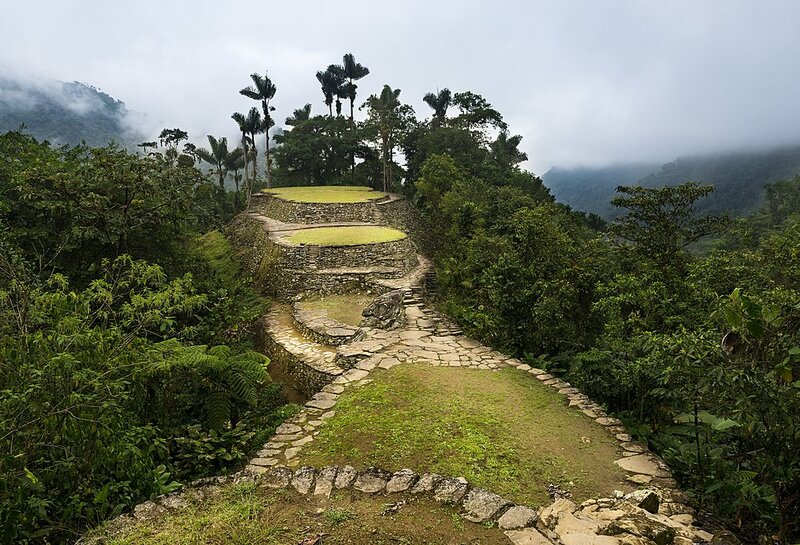 Discovered roughly half a century ago and established about 650 years before Machu Picchu, this archeological site, also known by the names of Teyuna and Buritaca, is one of a kind. Departure from Santa Marta in 4x4 for roughly 2.5 hours to the village of Machete Pelao, the entrance of the Sierra Nevada. You will walk until the Mamey region across coffee and cacao farms. Next is the arrival to the first camp, located close to a beautiful waterfall. You will visit the area and swim in the waterfall. Total walking time for the day is roughly 4 hours. Later, you will have dinner and a night in hammocks at the camp. 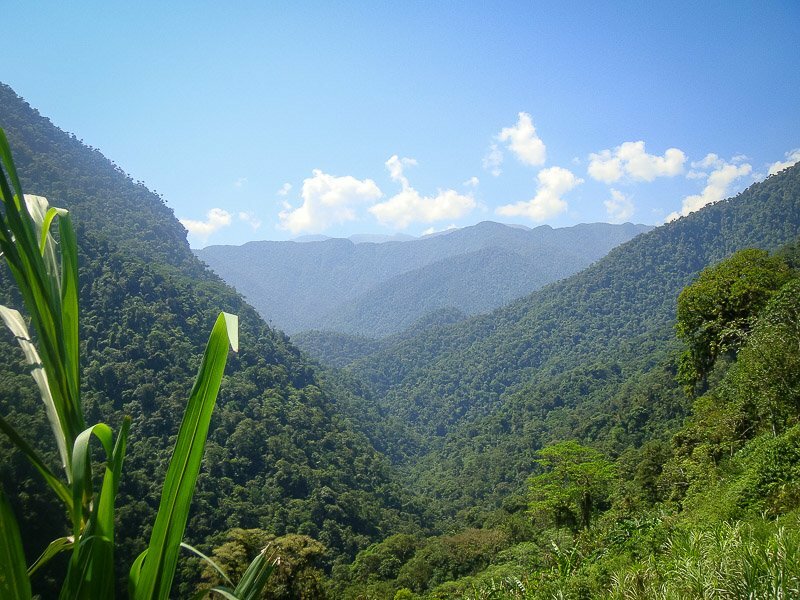 Today, you will walk approximately 4 hours in the tropical forest along the Buritaca Valley, crossing the river until you reach the Indigenous village of Mutanyi. During the afternoon, there is the possibility to swim in natural pools and to participate in the activities of an Indigenous family living in the camp where you will spend the night. Later, you have dinner and stay a night in hammocks. 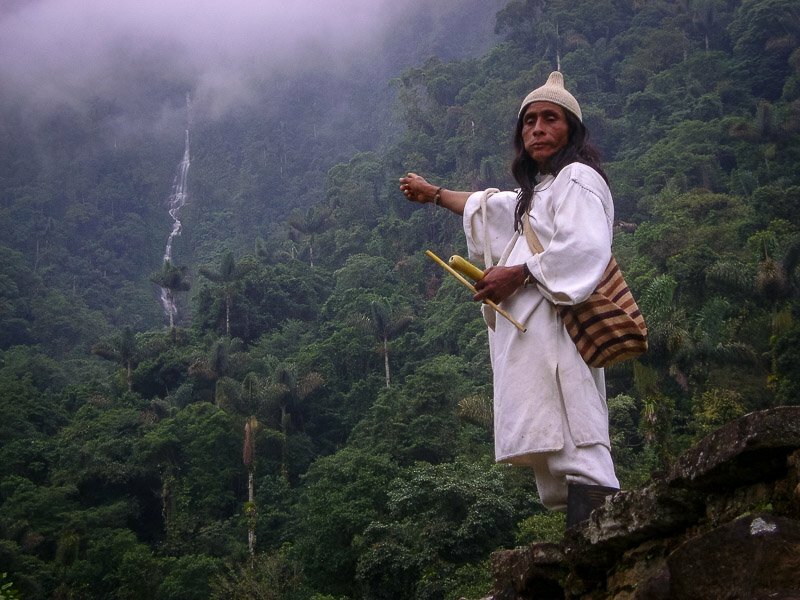 Day three begins with a walk along Indigenous paths crossing the Buritaca with a nice view over the Sierra Nevada until the camp of the Mamo (Mamo: Kogi spiritual leader) of the Lost City. You will have lunch and swim in the Buritaca River close to a waterfall. Today's total hiking time will be approximately 6 hours. Later is dinner and a night in hammocks at Mamo Romualdo's farm. On day four, you walk to the entrance of the Lost City and climb the 2,000 steps up to the archaeological site. 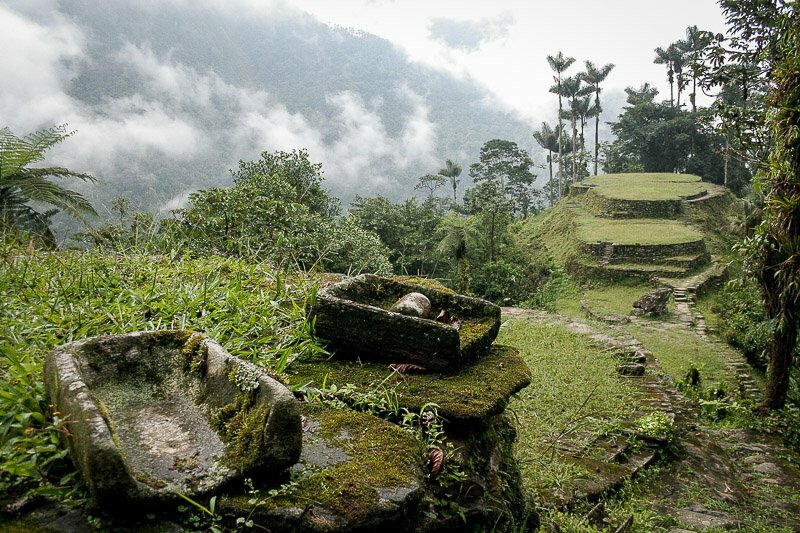 You will visit the site with all its terraces, ceremonial centers of Ciudad Perdida, and the waterfall of the Youth. Then have lunch and walk along the Buritaca River on Indigenous paths. There is the possibility to swim in the Buritaca natural pools as well. Total hiking time for today will be about 7 hours. Later, have dinner and stay another night in hammocks. 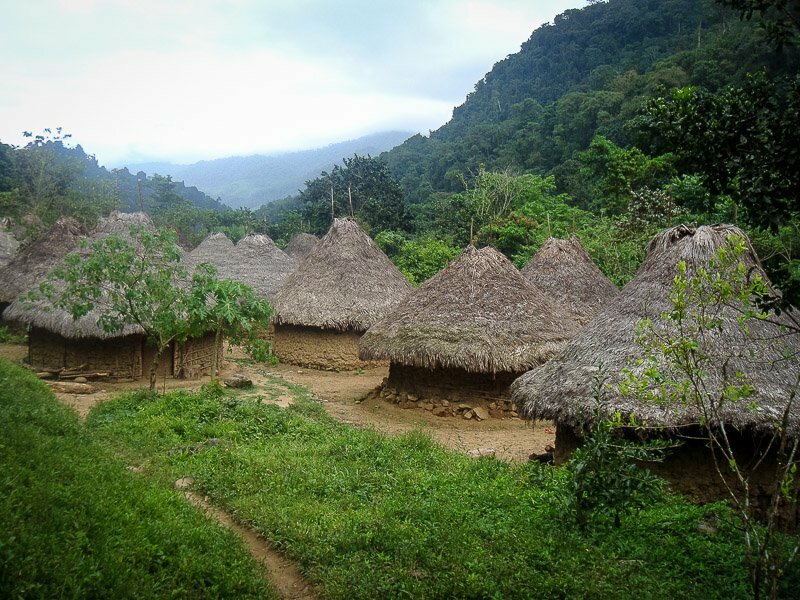 On the last day, hiking roughly 4 hours, you will have breakfast and return by foot from the Mamey region to Honduras. Upon your arrival at Machete Pelao, it's the end of the adventure! You depart and head to Santa Marta in 4X4 for a 2.5-hour return trip.